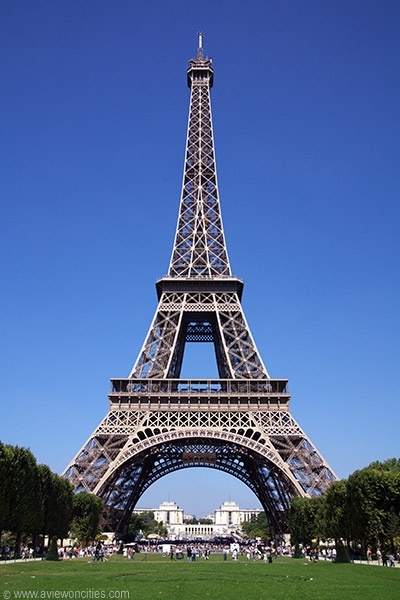 The recent news that the middle class is no longer a majority of the U.S. population, makes me think of the Eifel Tower. Because the Nobel Laureate economist, Paul Samuelson, once figured that if you stack a child’s blocks to make a pyramid of the distribution of income, with each layer being $1,000, the wealthiest would be far above the 1,063-foot Eifel Tower. And almost everyone else would be crammed within just 3 feet of the ground. Not even room to stand up. And that was 1948. A half century later, things were so much worse that he switched from the Eifel Tower to Mount Everest. But I have a nice picture of the tower, and it makes the point pretty well, so let’s stay with that. I don’t need my Webster’s to tell me that ‘middle’ is halfway from one point to another, and I make out the middle to be somewhere between the second deck and the champagne bar at the top, which is a long ways from pretty much everyone. Still, we recognize the term and imagine it to be the middle of something. Which raises the question, of what, and why should we care. The first is the hopeful boost that ‘middle’ gives by suggesting as small a distance to the rich and powerful up there as to the poor and struggling down below. Which, of course, it is not, not even close. I would provide a picture of Mount Everest for effect, but something of that magnitude cannot be captured by a camera. This gives some idea of the scale of what we’re talking about, which the ‘middle’ in ‘middle class’ serves to obscure, and is why we’re encouraged in its use. Still, even though most people identified as middle class are only a divorce, a layoff, or a serious illness from not being middle anymore, so long as they can look down at the demonstrably destitute, the struggling, the disposable, and not see themselves, they can identify with what they see when they look up, which comes tantalizingly close to imagining that they matter. Which brings me to the second reason for a ‘middle’ class—to name that in-between place where you don’t want to be when it looks like there’s going to be a fight. While the top of the pyramid is taking the lion’s share of income and wealth, everyone else is left to compete over the rest. This means a sizeable portion of the population always winds up with some degree of not enough. And for the wealthy to protect themselves from the demands of ‘those people,’ the unruly masses, they need a counterweight, a buffer, to keep things under control. In other words, someone in the middle, whose belief in the status quo gives them reason to keep everyone else in line. They need teachers, for example, to instruct kids to be good workers who show up on time and do as they’re told. They need bureaucrats and lawyers, managers and administrators, bankers and realtors, police, judges, soldiers, the FBI, not to mention politicians and professors, journalists, doctors, economists, engineers, psychologists, therapists, social workers and a whole lot more to hold it all together. This is the middle class that politicians wax rhapsodic about bolstering and strengthening, as in keeping a levee or a dam in good repair. It’s not that the wealthy care more about the people in the middle, but that there is a middle, a solid and dependable in-between to prop up the appearance of democracy, to enforce the law and bust the unions, to suppress dissent and manage the poor, and to pathologize, therapize, and anesthetize the human inability to stand it anymore. In short, the middle class has been hijacked by the interests of wealth and power—the power elite, the upper class, the ruling class, the oligarchs, the one percent, all of the above, take your pick. The middle has been coopted and groomed to affirm that everything is decent and fair—look at us!—encouraged to congratulate itself for its steady habits and respectability that elevate it, if nowhere near the top, at least far enough from the bottom to note the difference, as if those below, the lower and working classes, the majority of the population, are unworthy losers who have only themselves to blame. Being superior, however, does not mean being less disposable, not to be ignored along with everyone else when push comes to shove. Because, after all, from the champagne bar atop the tower, not to mention the mountain peak, all those tiny figures near the ground look pretty much the same. And now the data show that the ‘middle’ is being ‘hollowed out’ as the wealthy continue to enlarge their share of the pie, there being not much more to take from everyone else. A few are rising, many more are falling, shocked at how close they have always been to the ground. A recent Federal Reserve study found that if they had to come up with $400 in an emergency, 47 percent of the population could not, including many who identify themselves as middle class. There are two class systems in America. There is the one contained in the first three feet off the ground, a game of musical chairs to decide who gets to eat and who has a new car and are you better off than the person in the checkout line and does that let you feel a little better, if only for a while. But in the other, at the top, as they jockey for window seats in the champagne bar, income and wealth are not really the point. How many houses, after all, can a person live in? How many cars can they drive? What matters at the top is the power to act with impunity, unaccountable, as if they own the world. Because, as far as such a thing is possible, they do. And will, so long as there is a middle to hold it all together. Which reminds me of the poet, William Butler Yeats, and how things fall apart when the center cannot hold. Excerpted from William Butler Yeats, “The Second Coming,” in Michael Robartes and the Dancer (1921). *In 2014, for example, the breakdown was lower class, 9%; working class, 46%; middle class, 42%; upper class, 3% (less than 1% gave no answer). Source: National Opinion Research Center, University of Chicago.